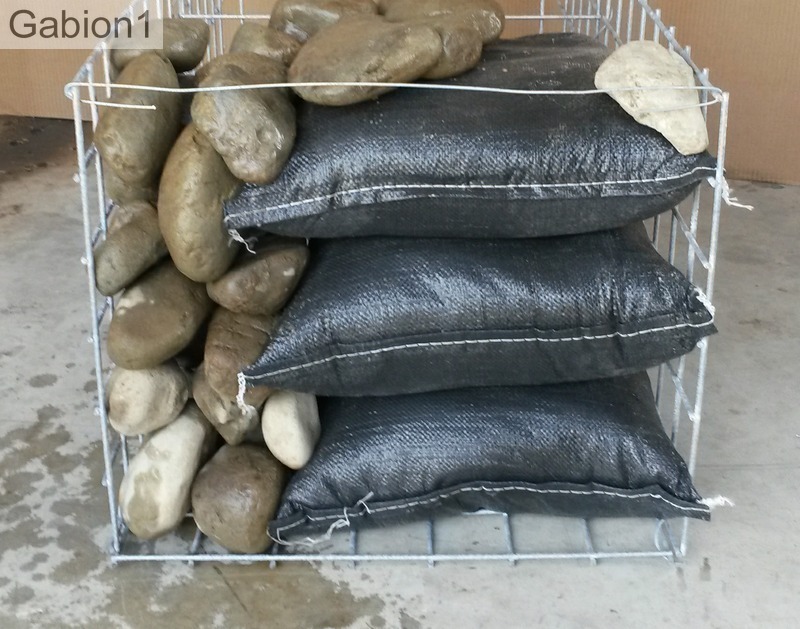 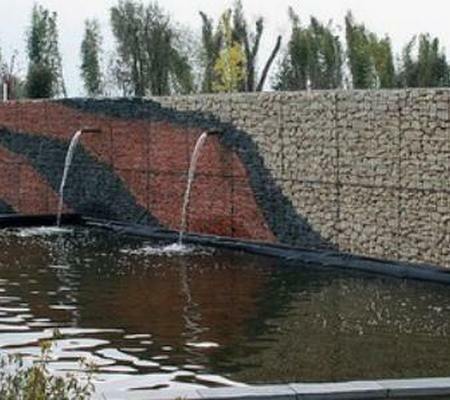 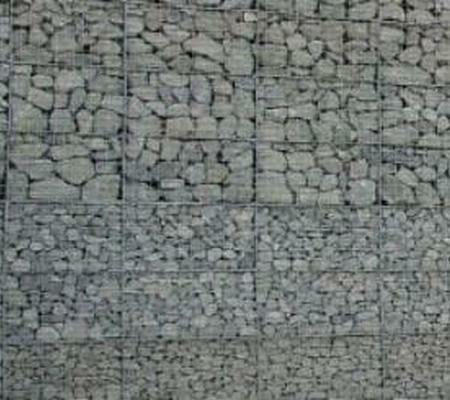 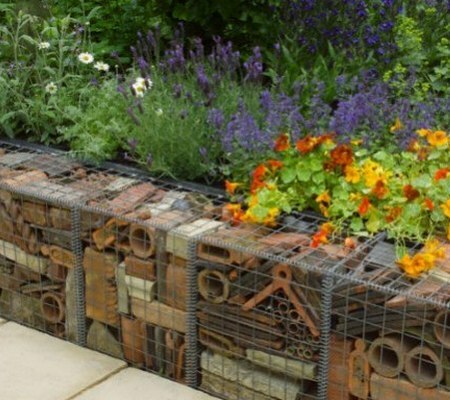 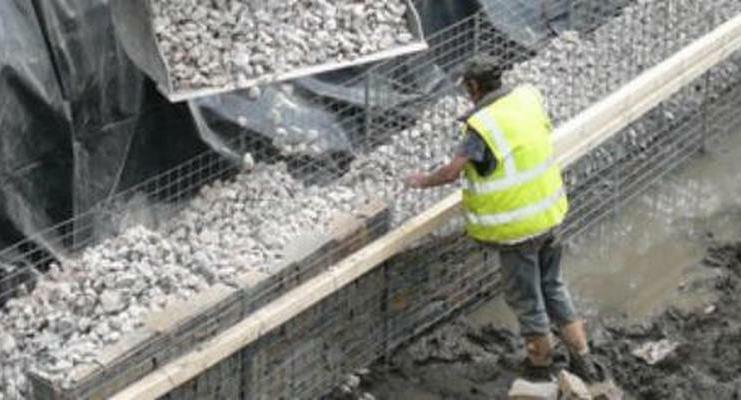 Gabion fill shall be hard, heavy, free draining and durable. 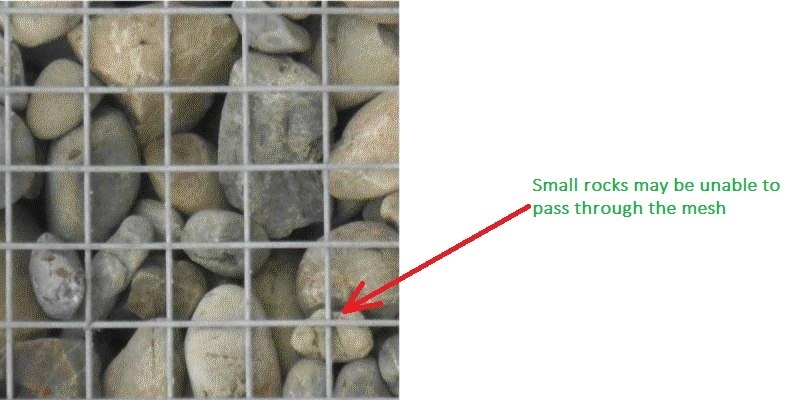 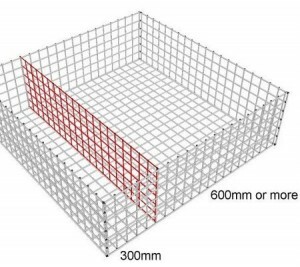 A non frost susceptible (rock or stone type) having a minimum dimension not less than 80% of the mesh opening and a maximum dimension of 200mm. 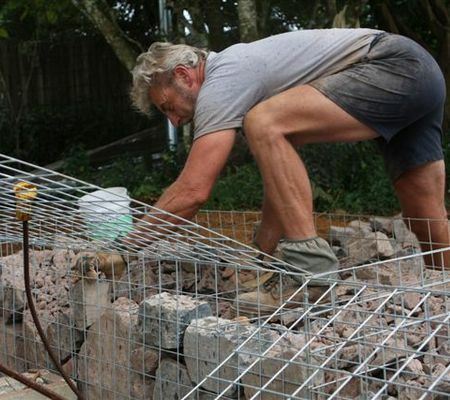 Hand placing "good" gabion rocks at the face of the wall.